A combination of riveting racing-inspired performance and genuine Italian allure, there’s nothing quite like the Alfa Romeo experience. Explore the automaker’s latest lineup at our Alfa Romeo showroom today at Alfa Romeo Hawaii. Born of a rich driving tradition, Alfa Romeo vehicles helped shape Italy’s racing lore. Throughout years of masterful engineering and innovation, their sophisticated style remained unparalleled while their breathtaking performance continued to defy the times. 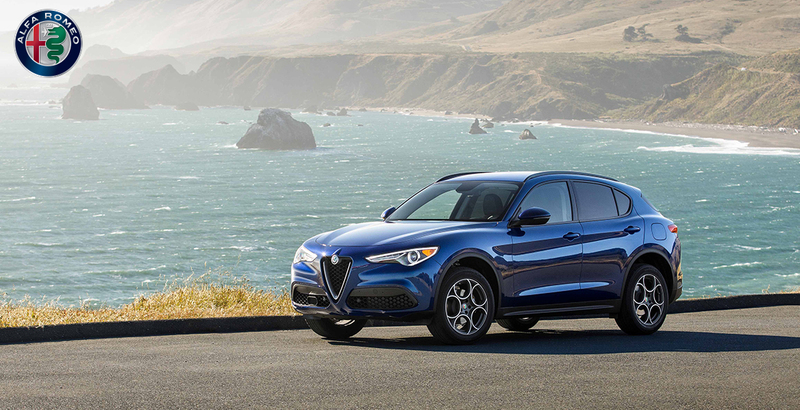 Now, over a century since its inception, the storied auto maker continues to define the cutting edge of driving dynamics, and you can experience the thrill of a new Alfa Romeo in Honolulu at Alfa Romeo Hawaii. Discover models such as the brand’s first-ever SUV, the Alfa Romeo Stelvio. Embracing the Alfa Romeo tradition, the Stelvio combines modern elegance and exceptional performance, along with unrivaled versatility. For those with a taste for speed, our Alfa Romeo showroom also features legendary Quadrifoglio models including the highly sought-after Alfa Romeo Giulia Quadrifoglio. Generating over 500 horsepower, the 2019 Alfa Romeo Giulia Quadrifoglio provides refined exhilaration with a 0-60 MPH time of just 3.8 seconds. Drivers also can opt for the Alfa Romeo 4C Spider, a gripping convertible sports car – because you’re not doing Hawaii right if you’re not doing it with the top down. Drive the difference with a new Alfa Romeo at Velocity Honolulu. To learn more about this exclusive Italian auto brand, call our numbers below or email us at info@jnautomotive.com and one of our brand specialists will answer all of your questions.